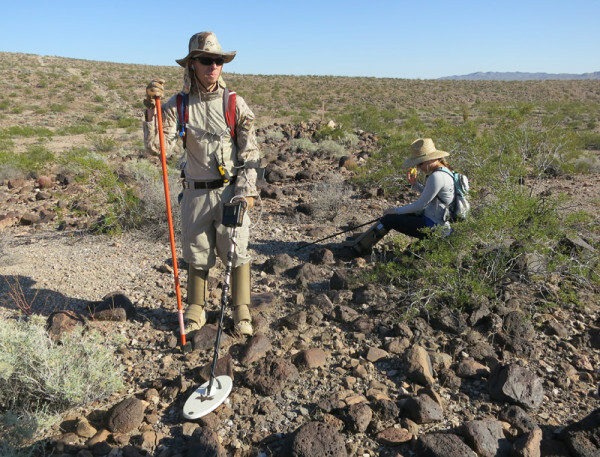 Earlier this month I had the pleasure of accompanying my friend Fred Bart and his wife Dorris on a hunt of the Yucca Dense Collection Area, better known as the Franconia strewn field. Our host for the weekend was Geoff Notkin, host of the show Meteorite Men, freshly in from filming an episode of his new TV show STEM Journals. The plan was to spend two days in the field and make some good finds following the intense monsoons we had this summer. As Jennifer and I were driving out from our house I got a message from my friend Roy, all it said was "Guess what?". I responded, "You found a huge meteorite?". 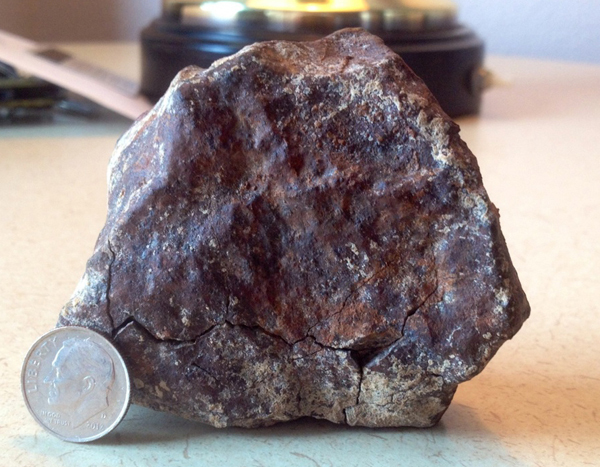 Roy had stopped at Franconia on his way home from Gold Basin and dug up a spectacular find! Roy said he dug it up about 5-6" down, thinking it was just another hot rock. I hoped this was a sign of things to come for our little group who would be hunting the next two days. 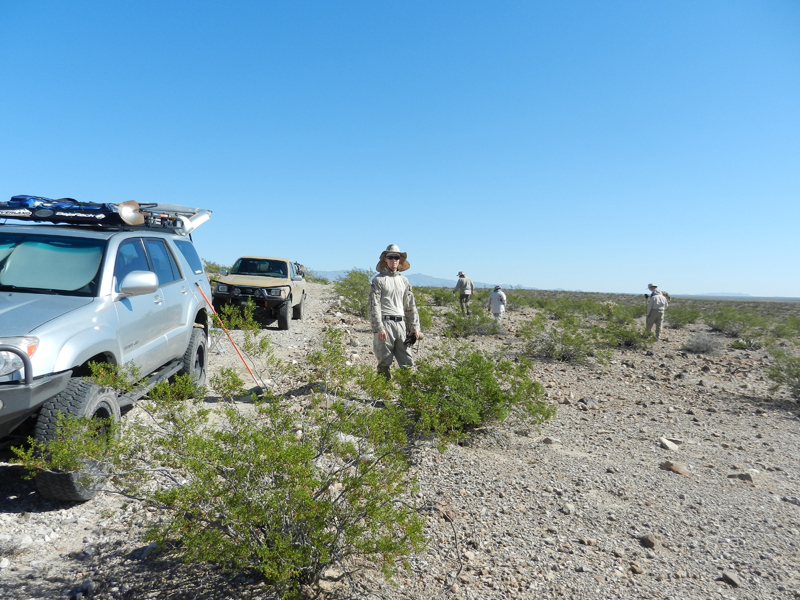 After a night at the hotel and a group breakfast the following morning we made our way out to the field in Toyota 4x4 style, parked, and geared up. Geoff gave a quick tutorial using a previous Franconia find, and then we headed into the strewn field. Here's a few of Geoff's tips (click for video). ...15 minutes later I saw a snake. I heard the little guy first, despite him only have 2 or 3 rattles and me using headphones (I use iPod ear buds so I still hear ambient noises, for just this reason). What a cute baby Mojave Green! 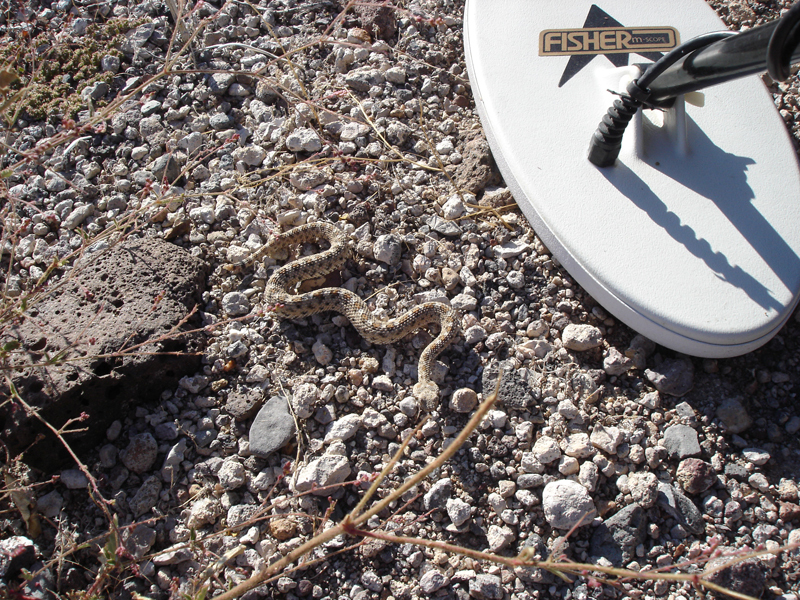 For the snake uninitiated, that head shape is classic poisonous viper, and the babies tend to be more dangerous because if they bite they do not have the poison delivery control of older snakes. For scale, my detector coil is 14" in the long direction. We hunted all afternoon with no luck. The most interesting meteorwrong was a live .50 cal WWII-era round Geoff found. Geoff's associate who was also hunting with us, Michael Cox, happened to be an ex-air force UXO specialist, so he de-powdered the round and kept it as a memento. It was found on private property next to the Warm Springs Wilderness Area. A short time later we all paused for lunch. Here I appear to be anxiously waiting to get back to the hunt. The sun moved closer and closer to the horizon and no one had found a meteorite yet. 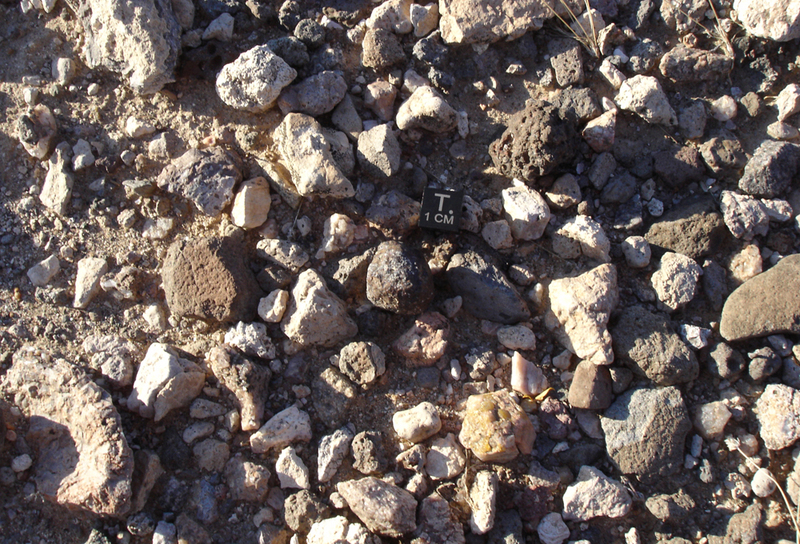 I was hunting a short distance away from the group and finding lots of buried hot rocks. 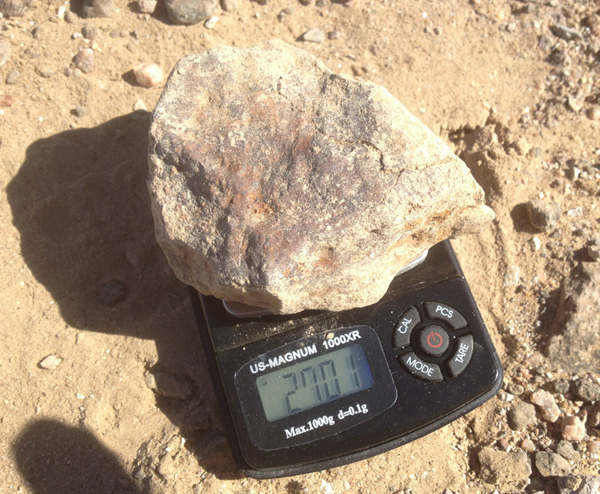 Digging hot rocks is like scratching lottery tickets, you hope each one is going to be like Roy's 270g find! 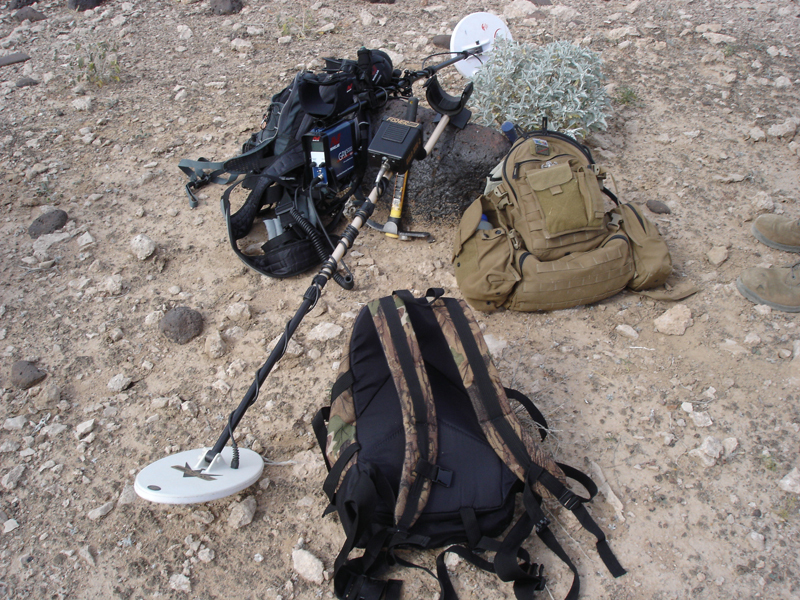 I had just filled one of my dig holes when I swung my detector over a patch of desert pavement and got a solid signal. 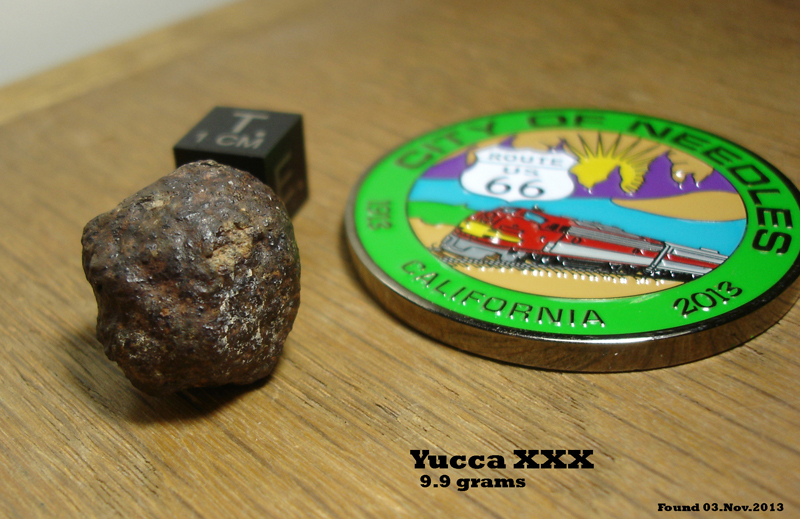 The first thing I always do on a hit is look at the surface and see if there's an obvious target, and there it was, a little meteorite sitting on the surface. 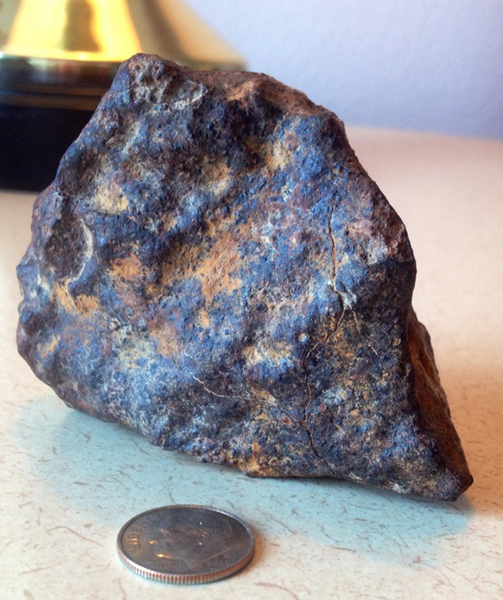 This was both my first meteorite find with my detector, and my first find at Franconia. With the sun about to set we headed back to the trucks. My find would, unfortunately, end up being the only find of the weekend. We returned to the hotel and all enjoyed pizza and beverages while watching the new episode of STEM Journals streamed to laptop. The next day the we geared back up and headed deeper into the strewn field. Michael C. set up his camera on a timer and snapped a group photo. 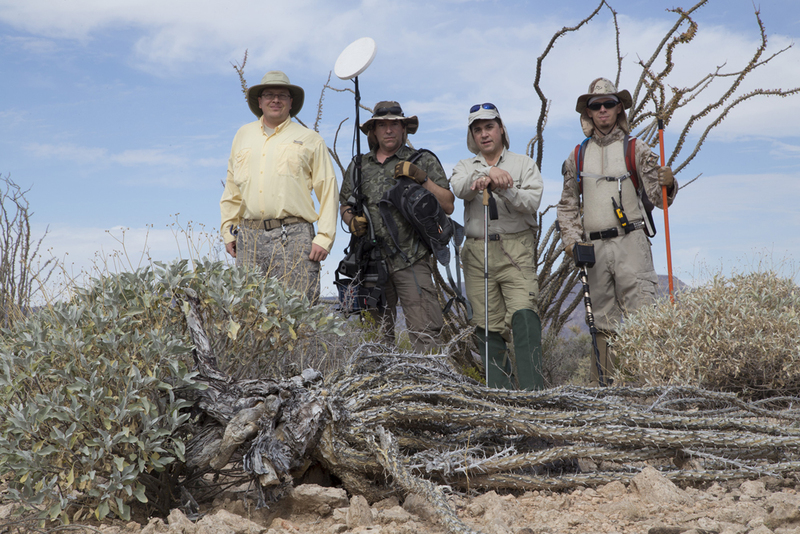 From left to right, Michael Cox, Geoff Notkin, Fred Bart, Michael Mulgrew. 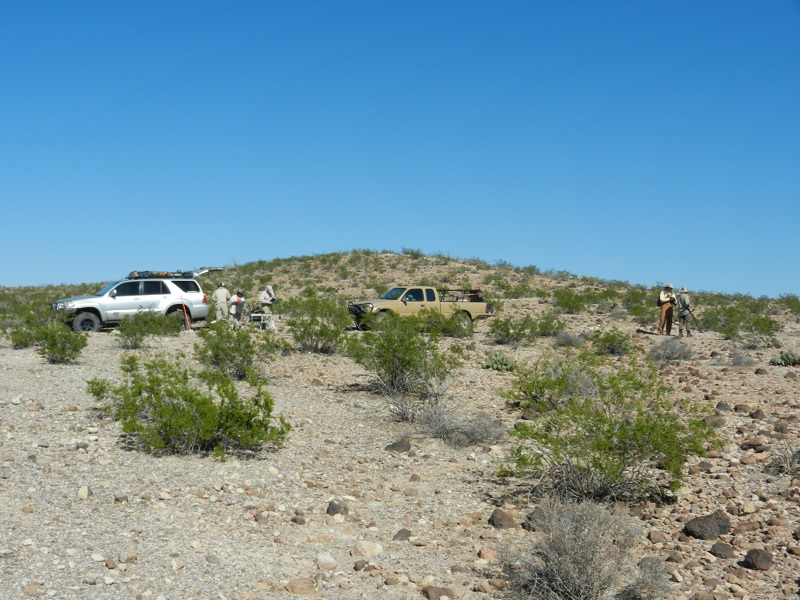 The area we were hunting had very light colored material all over its surface so we went low-tech, ditching our gear and hunting by eye. Late in the afternoon we had an encounter with a swarm of bees that took a liking after Geoff's battery pack for some reason. We took this as a cue and hiked out of the strewn field, returning to our vehicles and then back to the hotel. It was a great hunt with great friends, looking forward to the next one!